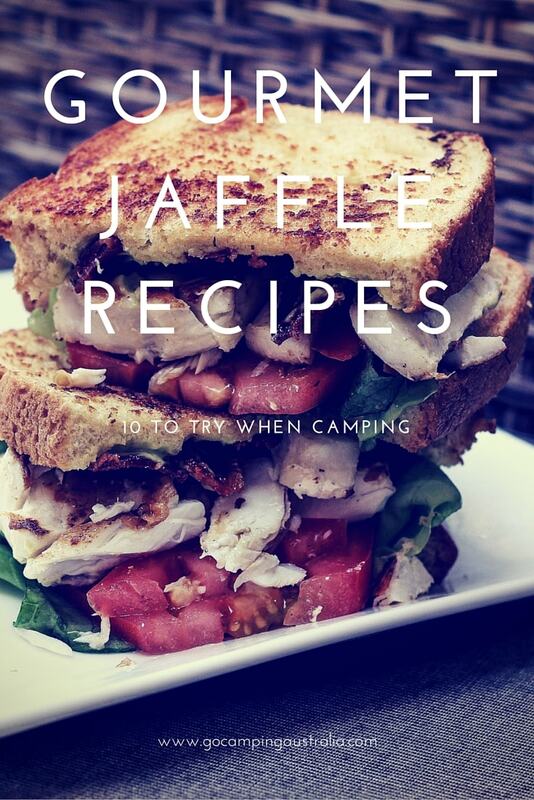 Who doesn’t love a jaffle? Or do you call them toasties or pie irons? It just might be one of the easiest meals for camping. Of course, for the non campers, they don’t need to miss out on this gourmet delight. Using the sandwich maker or fry pan, you can replicate any of these recipes (but without the campfire scorching). If I want to be sure my kids will actually eat their dinner when camping, I produce the humble jaffle. Their tastes run to the classics – ham and cheese or spaghetti bolognaise – fail safe, and guaranteed to please. 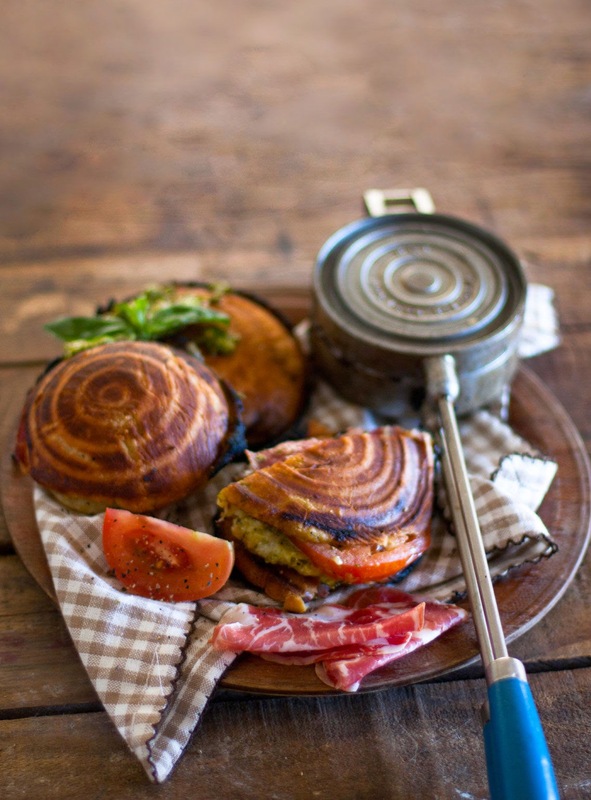 Lately, the jaffles have gone gourmet and trendy! There are food trucks and restaurants serving up this camping treat (minus the campfire experience) to urbanites who want to be taken back to their childhood memories of baked beans in the classic toasted sandwich maker. If you are like me, and wanting to perhaps, mix up the menu a little and produce a new jaffle that will have the wow factor – or dare I say it – turn the humble jaffle into a gourmet meal, then I’ve compiled 10 jaffle recipes that aren’t your ordinary campfire meal. 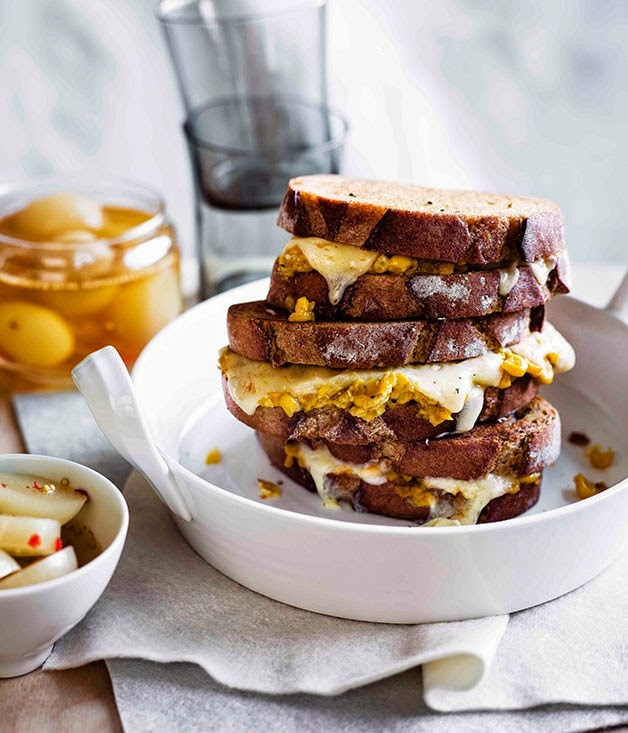 From Gourmet Traveller, comes this eggplant parmigiana toastie, which has a little complicated recipe, referring to making your own Sugo (which is an Italian pasta sauce). Now, if you have the time and inclination to make it at camp, then good on you. Me, I think I would either make at home, or buy something like it in a jar. The rest of the ingredients are more simple - mozzarella, parmesan, basil leaves and of course, bread. Continuing the Italian theme, this recipe has simple ingredients such as tomato, basil pesto, mozzarella balls and if so desired, you can add cold meats such as salami, prosciutto etc. Spread basil pesto over the ciabatta bread (if you have it, otherwise plain bread will suffice, but won't be as tasty). The amount you spread will depend on your liking for it - not too much, or it can overpower everything else. Layer the remaining ingredients on to the bread and cook. 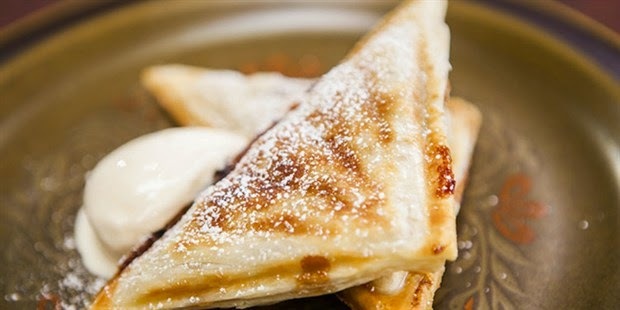 This is another jaffle that uses Nutella (anything that tastes this yummy, means it’s really low on nutritional value). 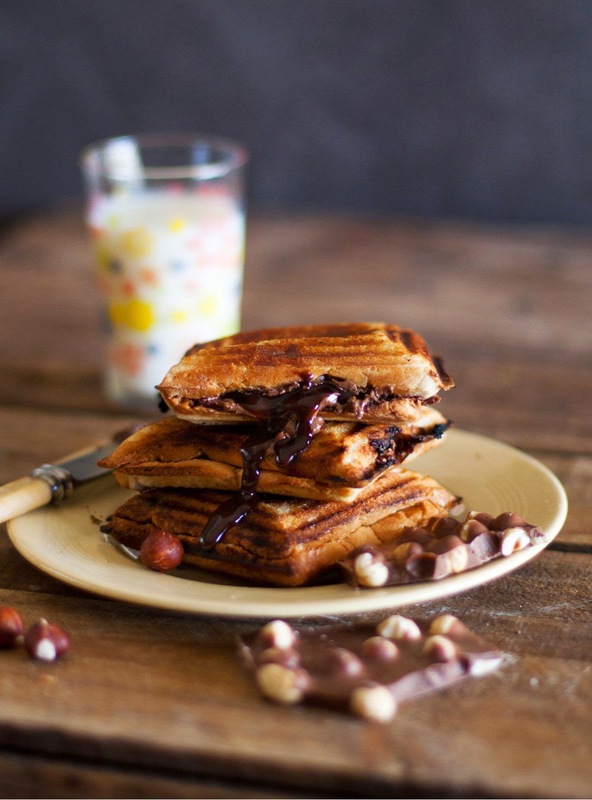 A combination of Nutella spread over plain white bread (use your judgement and taste on how thick you want the Nutella to be), and whole nut chocolate broken into pieces (try Cadbury Roast Almond or Cadbury Hazelnut), placed on white bread (of course), and toasted. Very simple. I really like this idea of using something besides bread in your jaffle maker. 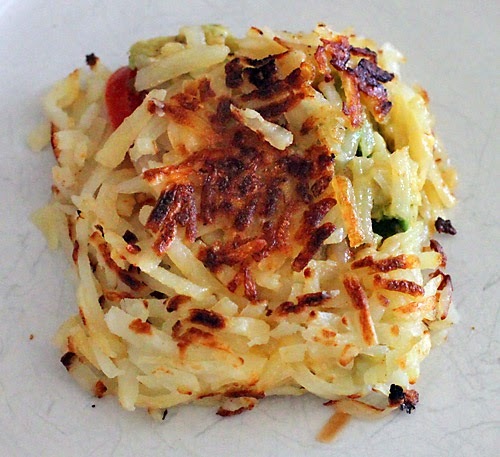 From the website, Dirty Gourmet, this is about taking hash browns (easily purchased in freezer section of your supermarket) and adding cheese and topping of your choice, and sealing in your jaffle maker until the hash browns are brown and cooked! How complicated you want to make it is up to you, but sometimes keeping it on the simple side will allow all the flavours to shine! Continuing along the idea of using something besides bread, tortillas work a treat. Website Two Maids A Milking, show you how to take make your taco using, mince (already cooked ahead of time) and cheese. When toasted and the mince is thoroughly reheated, then adding the toppings! We make this one quite often when camping, but use berries instead! Puff pastry instead of bread – which means that I need to plan before I leave for camping trip. I slice the puff pastry to the size of the jaffle maker, and keep the pastry sheets separated with baking paper and wrapped completely so no air gets to the pastry. Place at bottom of esky to keep cool. Very easy – but you do need to ensure the pastry is well cooked so it crisps up nicely, without burning. So it can be a bit hit ‘n’ miss until you get it cooked just right! Practice does make perfect with this dessert, and by the time the last jaffle is served around the campfire, I (sort of) have worked out my timing. Is this a gourmet jaffle? Maybe not, but a tasty one instead. Basically it’s the classic BLT but in a jaffle, with a touch of aioli to give it that punch. Rich and decadent, one of these jaffles would be enough! Another gourmet recipe from Gourmet Traveller – and it includes making your own creamed corn. Not so sure that anyone has got time for that at campsite, so if this appeals – make ahead! Or purchase some in a can which would be a lot easier! The recipe is so simple - good tasty cheese, and the aforementioned creamed corn on bread….. Nothing too tricky, despite it sounding a lot more work in the recipe! This recipe wasn’t designed as a jaffle recipe, but would work all the same. 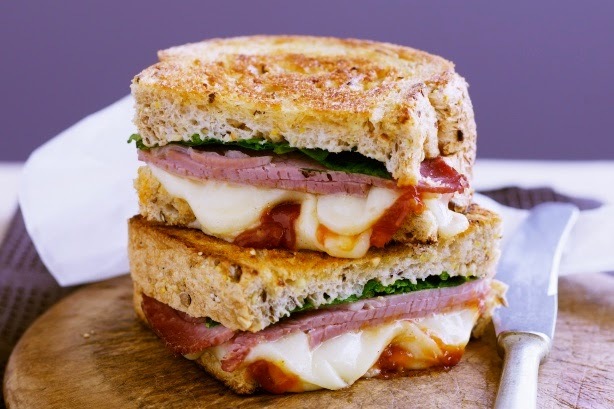 Tasty cheese, corned beef, baby spinach and tomato chutney, all on bread of your choice. As I was forced as a child to eat corned beef, despite my intense dislike for it, I cannot even look at it as an adult. So this one won’t be on my menu anytime soon, but maybe you have better memories of this meat!! Jaffles are easy and fuss free if you want them to be. Or you can choose to make them gourmet. Like we always say to you, everyone camps differently, so choose what works for you, and disregard the rest! 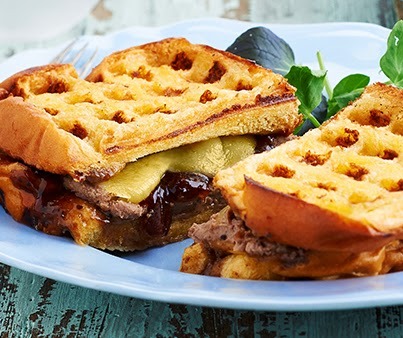 These gourmet jaffles might take a bit more thought and work, so we recommend trying them at home first, and seeing if they are something you would like to enjoy around the campfire. Did you like these recipes? Then share or LIKE this story so others can know about it too! !